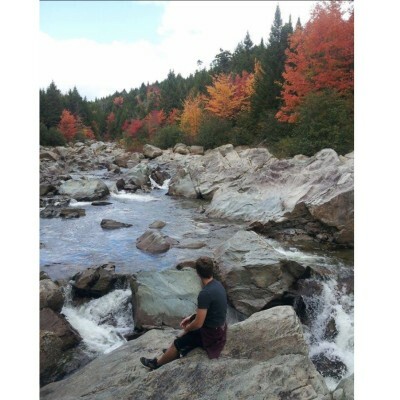 Fundy National Park is open for your enjoyment, with most facilities open from mid-May to mid-October every year. Full services are available in July and August. Limited services are available in May and June, as well as in September and October. 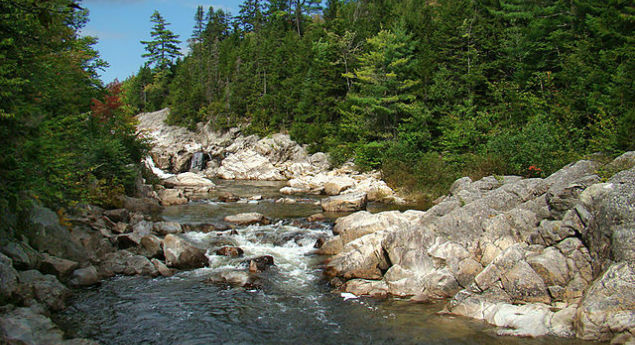 Fundy National Park is located on the Bay of Fundy, near the village of Alma, New Brunswick. 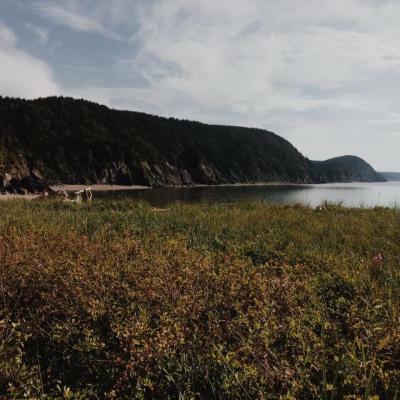 The Park showcases a rugged coastline which rises up to the highest tides in the world, the Acadian Highlands. 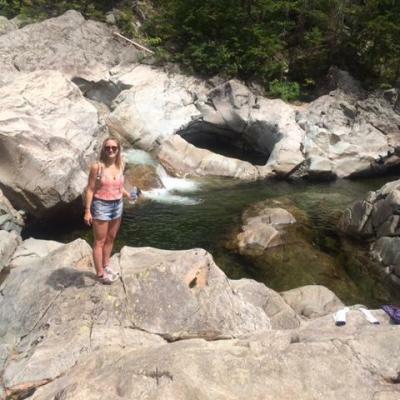 With over 120 km of walking and hiking trails, Fundy National Park is also home to more than 25 waterfalls and crystal-clear streams. The Park covers an area of 207 km2 (80 sq mi) along Chignecto Bay, the northeastern branch of the Bay of Fundy. It offers incredible sites of the ocean and wide-open sky across numerous mountains and valleys. When one looks across the Bay, they can see the northern coast of Nova Scotia. Created in 1948, Fundy National Park is a true coastal wonderland. Along with hundreds of acres of rich Acadian forest to explore, the park offers accommodations through 3 campgrounds. After a long day of hiking and exploring, the entire family is welcomed to relax in a heated saltwater pool, or alternatively the playground can provide hours of fun for the kids. 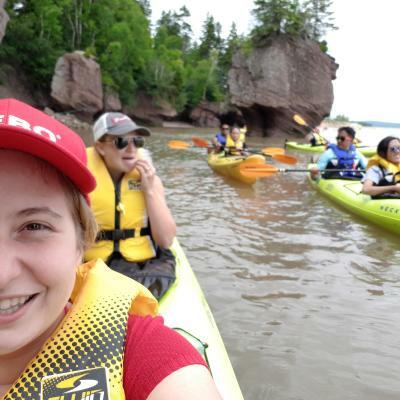 Furthermore, Fundy National Park offers golf, tennis and lawn bowling, or one can rent a canoe or kayak to explore beautiful Bennett Lake. 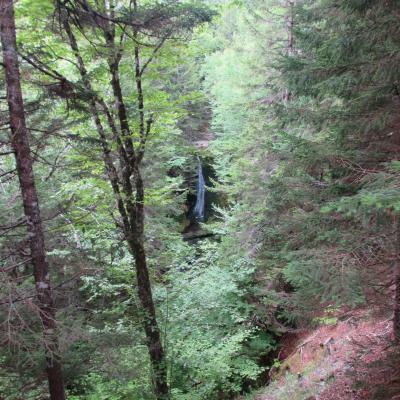 It is a beautiful area to plan a picnic, go for a swim, or feel free to sign up for one of many interpretive programs offered throughout the summer. Photo Credit: Photography copyright (c) 2009 Tango7174. Licensed under the Creative Commons Attribution-ShareAlike License. Text Credit: Site description from Wikipedia and Tourism New Brunswikc, used under a Creative Commons Attribution-ShareAlike License. I love visiting the Fundy National Park with my friends and family as much as possible - there's loads of trails, and plenty of cool creatures scattered throughout the woods and in the water too. My name is Jessica Trentowsky, I am 17 years old and live in Salisbury New Brunswick. This picture was taken in September of last year on a beautiful autumn day at Fundy National Park where my boyfriend was sitting on the rocks enjoying the view. We spent the day hiking and viewing the wonderful scenery, and just feeling free and connected to the land we live on. There is nothing else that can describe my Canadian identity more than this! Being able to live in a magnificent country with such beautiful nature that I can be in touch with is an irreplaceable feeling which I don't think I could get anywhere else in the world. You truly appreciate how incredibly the place where you live is when you step out into the fresh air, look at the colours of the trees and sky and water, and take it all in. When I do this I feel so proud to be a Canadian and wouldn't want any other life. I feel inspired, like I belong, and I feel like myself. 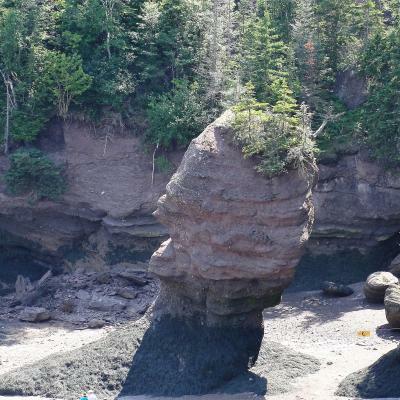 How many kilometers of hiking trails does Fundy National Park offer? Photo: Photography copyright (c) 2009 Tango7174. Licensed under the Creative Commons Attribution-ShareAlike License.